Despite a controversial state law passed in 2017 limiting the ability of public sector workers to bargain collectively, NTT faculty have taken to the streets to ensure their collective demands for change are met. Their campaign comes in the wake of other successful direct actions led by teachers in West Virginia, Oklahoma and Arizona as well as union organizing drives of contingent faculty across the Midwest. Within the last month alone, NTT faculty at University of Chicago and Loyola University Chicago have ratified new contracts with pay increases of up to 51 percent and more secure and transparent appointments. 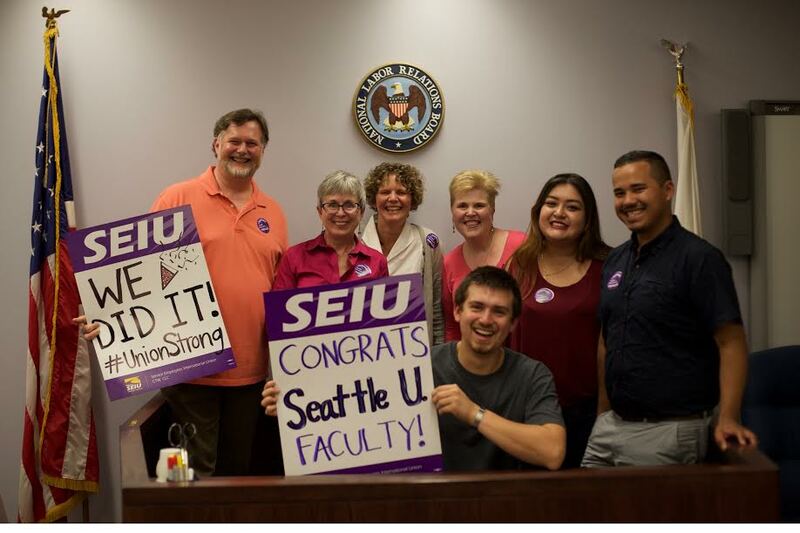 Faculty Forward, a project of the Service Emplo1yees International Union (SEIU), is home to more than 54,000 unionized college and university faculty who have won improvements in pay, job security, benefits and more on more than 60 campuses nationwide. For more information, visit seiufacultyforward.org.